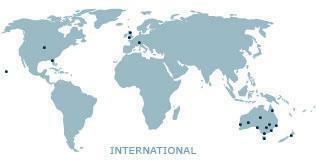 Opals Australia is proud to have many well renowned international operators and experienced jewellery stores as official stockist / resellers of our products. This includes a large number of stores across Australia, and an increasing number of international resellers catering for the needs of our ever growing international client base. While our website provides a perfect showroom for our vast range of quality opal jewellery, should you be more comfortable to make your selection after seeing the actual items, your local Opals Australia official reseller would be able to assist you in selecting the right opal jewellery for yourself or the special person. Upon request, they will be able to source any items you may have found on our website. We are consistently seeking quality jewellery operator interested in expanding their product portfolio with our brilliant opal jewellery, utilising our brand Opals Australia ñ the fastest growing opal jewellery brand in the world. Not only will you be entitled to our extensive reseller support program (including POS displays, promotional materials, training kits, etc), you will also gain access to the most comprehensive product range of this unique gemstone, giving you an absolute edge over your competitors.